We wish to make giving as easy as possible for our donors and have created several convenient ways for you to support St. Joseph’s. Once you click on any of our online donation icons you’ll find a simple online donation process capable of accepting most major credit cards. You can also make a gift outside of our online form by cash or check, money order or credit card: American Express, Discover, MasterCard and VISA. Gifts of publicly-traded securities are also always welcome. Credit card gifts provide the speed and benefit of allowing you to make a gift with the option of spreading your payments over a period of time. Should you choose to support us with a check, please make them payable to: St. Joseph’s Health Foundation or St. Joseph’s Wayne Medical Center Foundation. 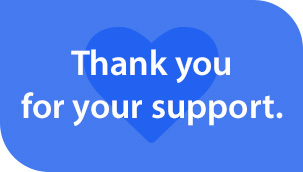 Whatever your choice, the nurses, staff, physicians and patients of St. Joseph’s Health deeply appreciate your support. Please explore our website or contact us for more information about our programs, services, and information about making contributions. Thank you for your continued commitment and support of St. Joseph’s Health. Please note: All gifts to the St. Joseph’s University Medical Center Foundation and the St. Joseph’s Wayne Medical Center Foundation are tax-deductible to the full extent allowable by law. We are grateful for gifts of all amounts; however, we can only provide official receipts for gifts of $25 or more.